At some point or another, we’ve all imagined what our marriage proposal will be like. We all have our preferences and we definitely want nothing to go wrong during the actual proposal. While being proposed to in a hot air balloon does sound nice, I definitely wouldn’t want it to turn out how it did for this couple. Eric Barretto had decided to propose to his girlfriend while they were on a hot air balloon. The idea seems simple enough, yet requires just enough effort and planning to make it romantic and a sweet gesture. The couple and their pilot were in the air over the sea near the San Diego coast, enjoying a romantic evening when Barretto began to propose. As he did, however, the balloon began experiencing some distress. The balloon itself was flying over the ocean, so when it began to experience distress, the entire thing began to move downwards to the ocean. The pilot maneuvered the balloon towards the coast, but it began to experience more of the rough wind and turbulence. One of the passengers jumped out of the balloon and into the ocean when it was close enough. Luckily, surfers who were out in the ocean at the time came to help out. 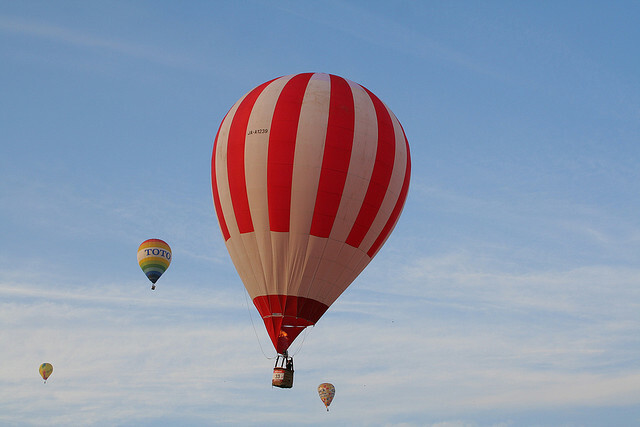 The pilot, however, remained in the balloon as he tried to salvage it. Finally, a rope was dropped out of the balloon and the surfers helped get all three out of the balloon. Luckily, none of the three were injured when they got back to shore but the couple will definitely have an amazing story to tell their friends and family. Someone actually caught the whole thing on video, which definitely adds to how surreal of an experience this truly was. I’m not sure that I’d want this to happen to me, though, regardless of how memorable or entertaining the story following would be.